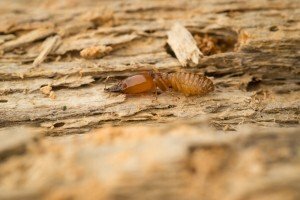 Termite damage is the largest home expense in the United States and accounts for nearly a billion dollars in damages. Left untreated, termites cause more damage than fire and flooding combined. There can be anywhere from 10,000 to over a million termites in a single colony and the Queen within the colony can lay up to 2,000 eggs a day. Termites thrive in areas with excess moisture, one of the main reasons companies like Dobbins Termite and Pest Control recommend moisture remediation and control in your home. Because termites hide in basements, crawl spaces and yards, their presence in the home can go undetected and the damage can be substantial and far-reaching. Annual inspections and early detection are excellent ways to prevent extensive termite damage. At Dobbins Termite and Pest Control, we offer comprehensive termite services, including termite inspections, termite treatments, termite bonds and termite letters. We are dedicated to making your home or business termite-free. Free Termite Evaluations – A simple, no-cost step is to request a free termite evaluation of your home or business. We offer free termite evaluations for clients located in our service areas, including Greenville, SC and Spartanburg, Pickens, Anderson and Laurens counties. Our trained professionals will evaluate your home or business to assess if there is evidence of termite infestation. Based on our findings, we will recommend an appropriate solution, which may include ongoing monitoring and protection of your home or a treatment solution to eliminate any issues. Termite Treatments – Our trained staff will recommend a termite treatment solution based on your home’s construction, the level of infestation and other key factors like moisture in the home. Our main objective is to eliminate termites from your home and create a defense barrier to prevent any future activity. Termite Bond – At Dobbins Termite and Pest Control, we offer 10-year termite bonds, guaranteeing that your home will be termite-free for the duration of the bond. We will monitor your home for termite activity and re-treat as necessary to ensure it remains termite-free. If you are looking to sell a home or are a real estate professional, we also offer termite letters and wood infestation report to give potential home buyers peace of mind that the home is termite-free.